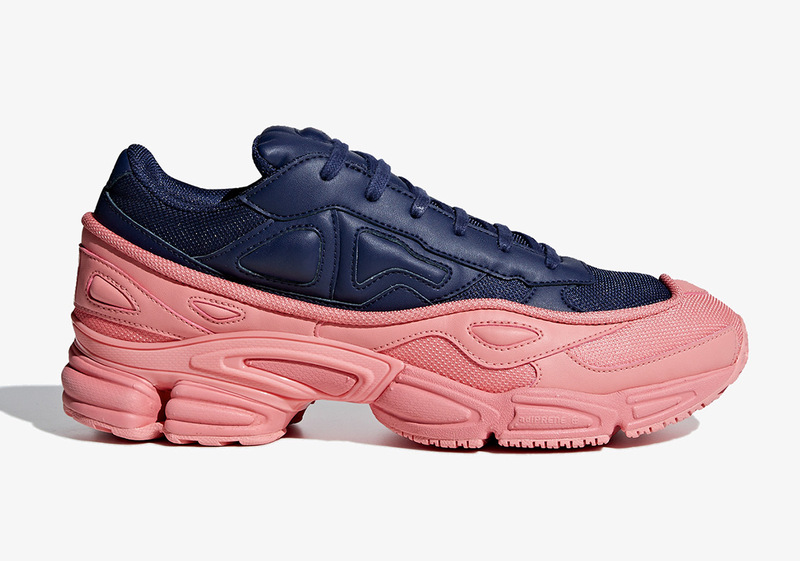 Renowned Belgian fashion designer, Raf Simons, is one of the most profitable collaborates with the Three Stripes, as his luxurious Ozweego collection has been released in a bevy of different iterations. This Fall, Simons and adidas are set to release a five-piece set of two-toned offerings that will be a perfect addition to anyone’s fall sneaker arsenal. Appreciators of these finely-crafted projects will have their choice between a playful navy and pink, a forest themed grey and green, a Steelers friendly black and yellow, a striking red and purple, and finally a simplistic black and white. While this silhouette’s complex layering system leads to a bounty of color blocking capabilities, this two-toned aesthetic lets the boisterous nature of the shoe speak for itself. Mesh and leather overlays help reinforce its luxe nature, while co-branded insoles help give Raf the credit he deserves for these admired selections. Grab a look at all five colorways that will be available below and look forward to their release at authorized Three Stripes retailers on September 20th for $350 USD.